If you have a mobile phone – and who reading this doesn't? 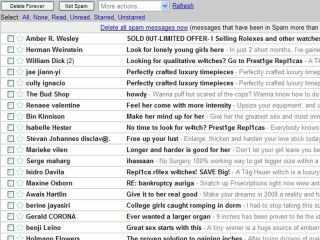 – you're bound to have received more than a few junk text messages, making it all the more likely you'll enjoy this anti-spam news. A court in Australia has issued fines of almost AUD$16 million (£9 million) to people and companies found to have broken the country's Spam Act. Firms Mobilegate and Winning Bid (guess what they do), and three individuals were hit with the fines after the Australian Communications and Media Authority took them to court for spamming Australian phones. The judgement that the offending text messages were "malicious and deceitful" was part of the reason for the large fines, but it's equally clear that they're warning shots across the bows of other SMS spammers.